In the past, filmmakers had to rent expensive cranes or helicopters for soaring aerial shots. Now amateurs can simply buy a drone, like the new Parrot Bebop, and fly it around with an iPhone or even the Oculus Rift. 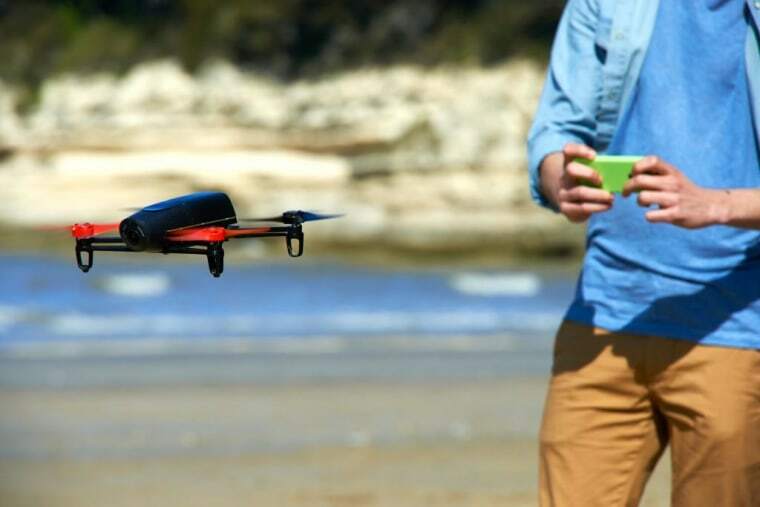 Parrot is known for making affordable, easy-to-use quadcopters, like the AR.Drone 2.0, which costs $300. That drone might be fun to fly, but its 720p camera left a little to be desired. The Bebop is a little more advanced, capable of capturing 14-megapixel pictures and 1080p HD video. Like its predecessor, it can be controlled with the optional Skycontroller or an iOS or Android app. The Bebop can also be flown with the Oculus Rift, the virtual reality headset developed by Oculus VR, purchased by Facebook in March for $2 billion. Parrot has not released any pricing details yet. If it’s even in the same ballpark as the AR.Drone 2.0, however, it could put aerial HD video within reach of regular consumers. (One of its main HD rivals, the Phantom 2 Vision from DJI, costs $999). The whole thing weighs less than a pound and can fly as far as 1.2 miles away from the person operating it. (Sadly, it's battery can only support 12 minutes of flight time). The Bebop also features GPS, which allows it to hover if someone drops the controller. Paired with its lighter, softer construction and blades that stop spinning once they hit something, the Bebop should provide some piece of mind for hobbyists worried about injuries and lawsuits. While no release date has been made public yet, Parrot says Bebop will be on sale in time for the holiday shopping season.